It’s not always easy to recruit workers to serve as in-country missionaries in Denmark, and historically not in the eastern part of Sjaelland. But today that seems to be changing, with a new generation of believers who don’t hesitate to step out into the unknown. Case in point: Thomas Kildeholm Jensen starts this summer as the new worker for family ministries in the Indre Mission. A former missionary to Tanzania, he’s 28, engaged to be married, and currently living far from his upcoming assignment. And he’s excited about his new job. 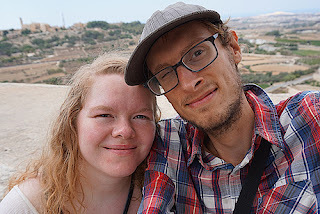 He’ll be working in a key support role, encouraging church staffers around the eastern Sjælland region, working to strengthen family-related ministries, and also reaching out to new immigrants. “In the Indre Mission we want to reach our entire country with the gospel,” said IM general secretary Jens Madsen, “not just those areas where we already have committed church folks. So there’s a need for mobility and a willingness to move. PRAY for Thomas Jensen as he prepares for his new work, reaching out to families who may have no other contact with Christians. PRAY that God would strengthen outreach ministries to families in Sjælland. PRAY that immigrants would come to know Christ through the outreach of Thomas and the churches he will serve. PRAY for even more workers to join Thomas in the renewal movement of Indre Mission. PRAY for revival throughout eastern Sjælland.